The Norrona Falketind flex1 Pants Men are a pair of comfortable, quick-drying, weather-resistant softshell pants designed for all mountaineering, climbing, and outdoor pursuits. Made from the flex™1 fabric, the Norrona Falketind flex1 Pants Men have flexibility and breathability for comfort on technical manoeuvres with wind-resistance and a DWR finish for protection if the weather changes. A Custom-fit waist system™ eliminates the need for a belt decreasing bulk, and three zipped pockets secure valuables. 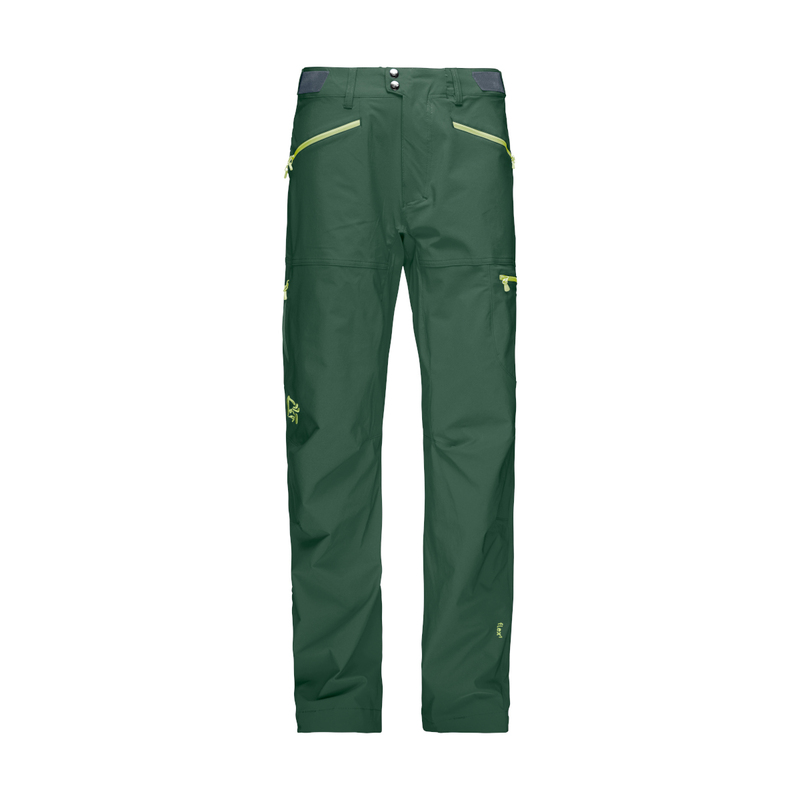 With essential weather protection, and high breathability and flexibility, the Norrona Falketind flex1 Pants Men are all-round pants for all-season use. flex™1 is a stretchy single-ply softshell fabric that provides wind and water-repellency with better moisture vapour transportation rates compared to waterproof products. Everything you'd expect from a softshell: stretch, wind-resistance, water-resistance, and breathability. An ultra-thin coating applied to technical garments as the first line of defence against wet weather. This coating creates thousands of densely packed polymer “hairs” that prevent water from reaching the surface of the jacket and encourage water to merge together and bead off. Very lightweight, like those details like pockets and waist adjustment. Fabric is very gentle on the skin. Leg long zipper or at least side zippers for ventilation and inside leg protection in the boot are would make addition star in the review. Great looks, very comfortable to wear. Other than advertised not only the waist ist adjustable, but also the legs around your shoes in three steps, plus it has hideable metal hooks to attach to your shoes! Great value!